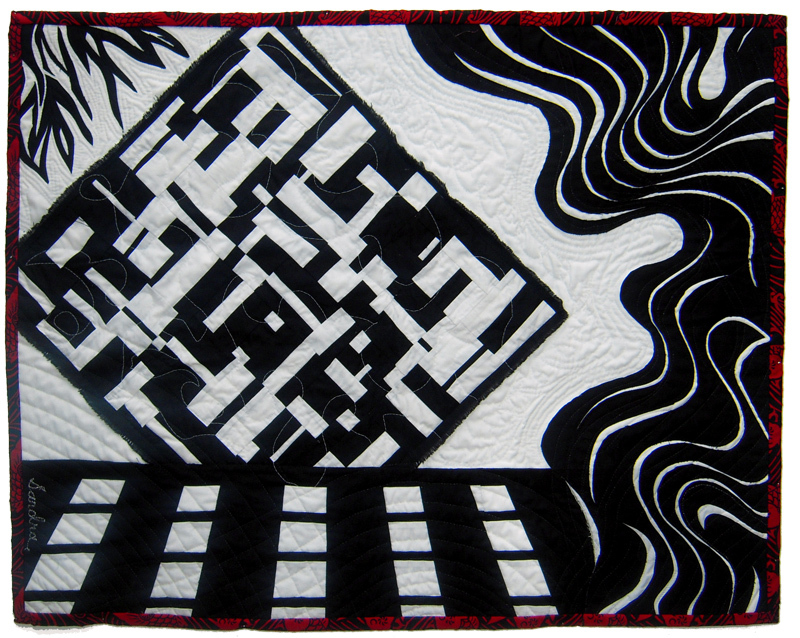 I am a contemporary mixed media artist who uses fabric as my medium of choice. My family has been in the textile industry for over four generations, so I became familiar with the use of fabric and prints when I was growing up. As a tactile and visual person, I am intrigued by the variety of textures, colors and flexibility of fabric now how it interacts with thread and paint. Thread, yarn and fabric are my paints and the needle is my brush in my abstract works. The stitching is initially intuitive and unplanned. It is part of the composition as well as the technical force that grounds the work. The use of complexity, color and depth allow me to explore dimensions of physical space. This frequently results in a layering of materials that creates a three-dimensional aspect in my art. 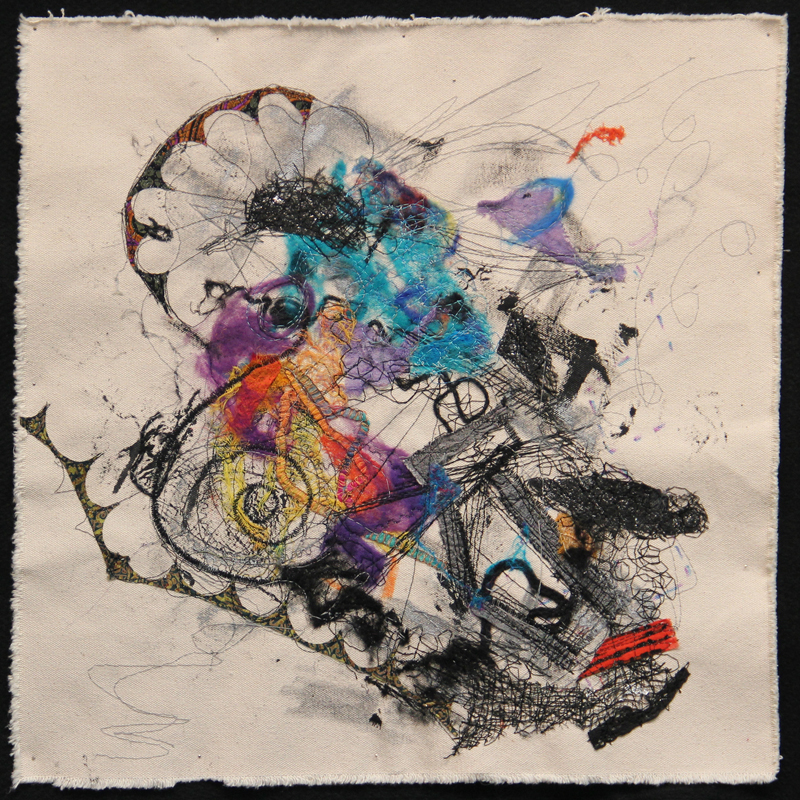 Sandra E. Lauterbach is a contemporary mixed media artist with a studio in Los Angeles. She initially attended Pomona College where she studied art before earning a JD degree at the University of Southern California Law School. She eventually decided to leave the practice of law and focus on her art. Since then she has attended various other art schools, including Otis College of Art and Design. The original use of fiber and textiles combined with careful details expressed in paint and other mediums has led to Lauterbach’s work being shown in national and international exhibitions as well as at galleries across the country. Her work received an Honorable Mention in the 2014 California Open Exhibition juried by Laddie John Dill for TAG Gallery at Bergamot Station in Santa Monica, CA. 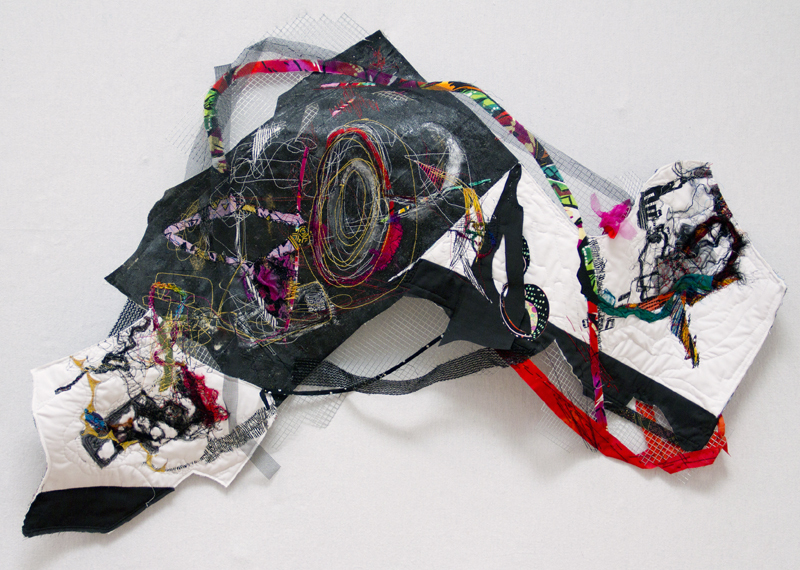 For the past three years, her imaginative textile creations have also been selected for the Los Angeles Art Association’s Open Show, which is juried by national museum curators and features some of the best work by emerging artists. Lauterbach is an active member of both the Southern California Women’s Caucus for Art and the Los Angeles Art Association and exhibits at Gallery 825. 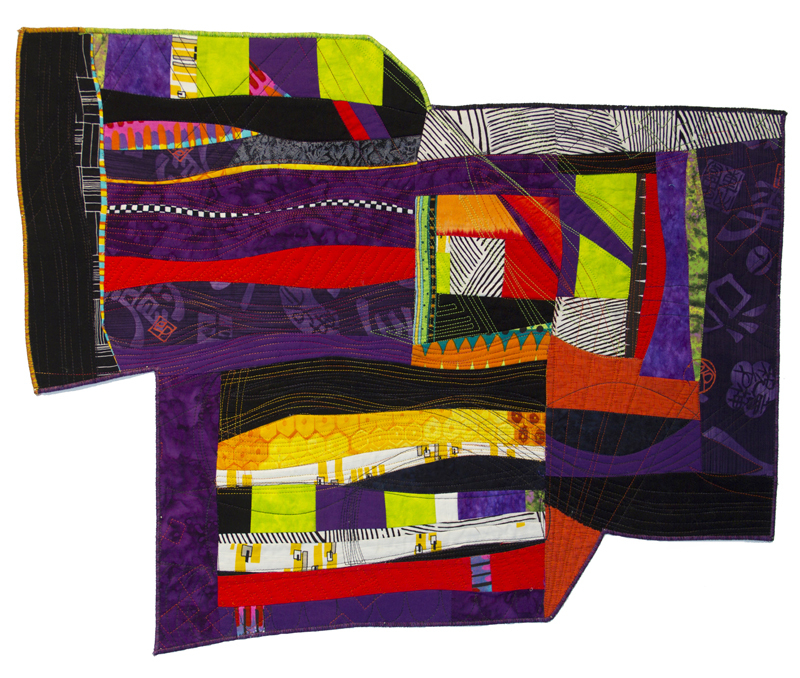 She is a juried artist member of the Studio Art Quilt Associates (“SAQA”), an international body of professional artists. SAQA has chosen her to be one of the 12 featured artists on its website for 2015. In addition, her work has been published in numerous catalogues and books. She has also been a docent at the Los Angeles County Museum of Art.